UAE Supreme Council Member and Ruler of Ras Al Khaimah HH Sheikh Saud bin Saqr Al Qasimi has issued a decree to establish a conservation area in Khor Mazahmi, the first protected wetland area in the emirate, a Wam news agency report said. The decree, which coincides with UAE hosting of the 13th meeting of the Conference of the Contracting Parties to the Ramsar Convention on Wetlands (COP13), emanates from Sheikh Saud's keenness to protect the environment and to strike a balance between nature and development, said Dr Saif Mohammed Al Ghais, chief executive officer of the Environment Protection and Development Authority (EPDA-RAK). 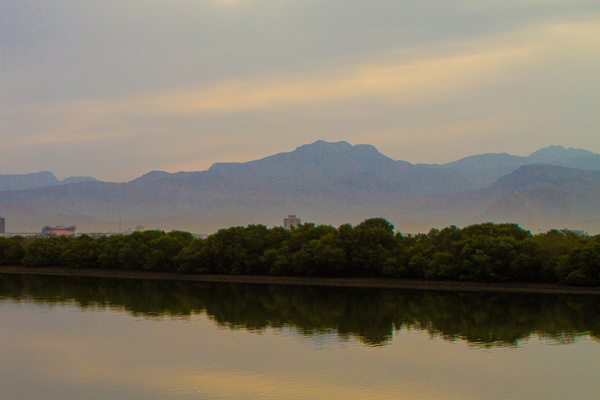 The Mazahmi wetlands protected conservation area is situated 14 km south of Ras Al Khaimah city and covers 3 sq km. It provides an important habitat and food source for various wildlife species, including flamingoes. It is also home to the critically endangered green turtle, which features in the IUCN Red List of Threatened Species.